1. 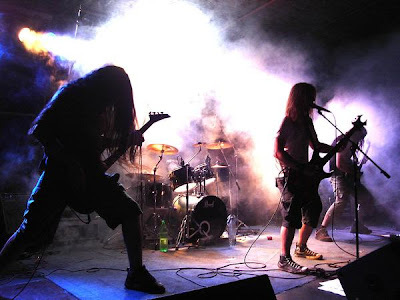 Would you like to tell us about croatian death metal / underground music scene ? 2. 2006 to 2010, why it takes a long time to build a new album ? so we can go in Studio to record some new songs in a way that should be….metal. 3. Working on a new recording, could you tell us just little bit about new material ? There will be some real old school melodies with some new sound of death metal. Of course,But some old stuff like,At The Gates,In Flames,Dismember,Dark Tranquillity…. 5. For selling point, and popularity or some other reason, some of musician or band covering the other band song. What do you think about that ? 6. If you could tour with one band, past or present, who would it be and why? 7. City to city or world tour. Which one from your live performance you experienced that means much to the band. 9. What’s your opinion abut the music charts now, with the amount of manufactured boy/girl bands that seem to dominate it? 10. From the beginning until now, what made Defiant still focus on this genre. How does the music make you feel when you’re producing, performing, or listening to it? 11.Your message to the metal fans ? Keep it metal,it’s all you’ve got at the end…. A Loathing Requiem adalah sebuah “One Man Project” band. Dibuat oleh MALCOLM PUGH, yang berasal dari Nashville, Tennessee, Amerika. dan beraliran Death Metal. Terinspirasi oleh band-band seperti Necrophagist, Arsis, Nevermore, Racer X, Cacophony. Dengan permainan gitar yang demikian dahsyat, dan pengaruh Muhammad Suicmez, Paul Gilbert, Chuck Schuldiner yang juga menjadi inspirasinya, musik yang dibuat dan dibawakan oleh A Loathing Requiem ini menjadi kelihatan berbobot. Malcom bermain juga untuk band Inferi dan Diskreet. Berikut ini adalah Interview dengan Malcolm Pugh, A Loathing Requiem. Please tell us how you started the “one man band” project? Um, lets see. When I first come up with A LOATHING REQUIEM, I was trying to do something that wasn’t Melodic Death metal. At the time it was just a fun way for me to get drunk and write brutal riffs. Did you have a band before finally becoming one man band? A LOATHING REQUIEM never had other members. Although, i still play in INFERI (Tribunal Records) from Nashville and I also play with DISKREET (Siege of Amida Records), from Topeka, Kansas. Inside the band (group) and work alone in this project. Which one is the best for you? And what’s the main reason? I love the freedom of working by myself. I’m an only child, so I think its natural for me to feel that way. At the same time, there is nothing better than having a few beers and jamming out with a band. That’s where true musical awesomeness comes from. One man band. What is your recipe to start the project. Creativity and technology or something else? Both. I think technology has helped me evolve as a musician. A LOATHING REQUIEM gives me a musical freedom I’ve never had before. So, I’m really stoked with being able to come up with anything I’d like to and run with it. Its very liberating for me. Your songs, your lyrics, what’s inside them. I mean, What makes you write the song and what’s your lyrics about? What’s your process for writing your music? Well that is a great question. Lyrically I sway between topics and content. I’m currently working on completing an record entitled “PREMONITIONS OF THE SOURCE” and I plan on focusing on things such as war and religion. But, I do have a few songs that will have some fantasy based lyrics. Basically I want to express myself on many platforms. The music is a different beast. When I write music, no matter what it may be, I want it to have texture. Sometimes I write it on paper before it gets recorded and sometimes I come up with a riff on accident, then write a song based on that. The ultimate goal for me is to have people go on a mental roller coaster ride, but not vomit because its too crazy and technical. I want to make music for metal heads… not just musicians. From your information, you’ll be held on tour with some metal band. Is that any problem making performance in the stage. I need to ask this because you are the death metal one man band, I’ve ever know. No. I have no problems between tours and any other projects I have going on. The only problems I’ve ever ran into, where with personal relationships. That is and always will be a struggle for serious musicians. There is no gold without sacrifice! Your guitar playing is great. What is your musical background. Is that autodidact or with formal music education? Thanks a lot! I actually have NEVER had any form of formal training. Everything I know about guitar and music is self taught and self gained knowledge. I plan on taking on some professional training someday. I think it would help my playing a lot. From your list of the band or musician who influenced your music. There’s Muhammad Suicmez, Chuck Schuldiner, and Paul Gilbert. Which are your favorite tracks/song from that musician that really influenced you much? Necrophagist – Ignominious and Pale. Some of the most genius riffs I’ve ever heard. PERIOD! For 1998… absolutely ahead of the times. A lot of metal bands would kill to have a composer like Chuck. Its just flat out incredible! If there’s a time for you, which song from your influence you’d like to cover? There are so many songs I’d love to cover, but I have a huge fear covering songs. I don’t think I could replicate my favorite songs with the same original conviction that the original artist had when it was recorded. At that point, I’d rather keep trying to create than re-create. Now the internet social networking service like myspace, friendster or facebook is growing up faster and faster. What does it mean to your musical progress and career? Does every musician have to join that social networking service? Well, for me personally. Myspace in particular has helped me network with bands and musicians from all over the globe. At the same time I think the internet is bitter sweet when it comes to music. On one hand it gets your music out there, but on the other hand its saturated with so many bands (good and bad) trying to get their music out there, its hard for people to take you seriously. I think these days the Internet is necessary in order to deal with other competing bands. Like I said, ” bitter sweet”. What’s your message to them who become “one man band” too, and all of death metal lover? Well for anyone wanting to do a “one man band” I suggest listening to Mirrorthrone, Unholy Matrimony and Weeping Birth. All three are created by Vladimir Cochet. He is my hero when it comes down to one person creating and composing music without other peoples influence. And to death metal lovers… All I can say is, drink beers! 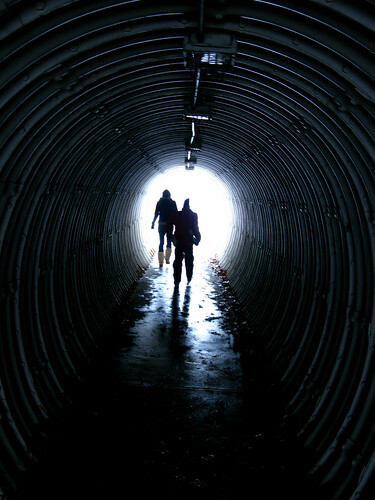 Into the Light, originally uploaded by tapsjg.